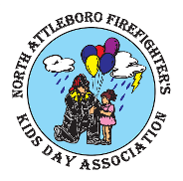 KID'S DAY WOULD NOT BE POSSIBLE WITH OUT YOUR HELP. Every year, we look to OUR local businesses & RESIDENTS FOR ASSISTANCE. IF YOU WOULD LIKE TO HELP SUPPORT KID'S DAY, FEEL FREE TO CLICK THE APPROPRIATE LINK ABOVE. YOU CAN NOW SUPPORT KID'S DAY ONLINE!